The Greater Los Angeles Healthcare Services Team focuses solely on healthcare-related real estate, from leasing and sales to property and asset management to appraisal and valuation. Attuned to ever-evolving developments in the industry, our team is dedicated to resolving the increasingly complex real estate needs of healthcare investors, owners, operators, landlords, tenants and developers across Orange and Los Angeles counties. John Wadsworth serves as a Senior Vice President in the Irvine, CA office for Colliers International. John is a founding member of Colliers Healthcare Services, a highly specialized Service Line within Colliers that provides real estate solutions to the healthcare and healthcare real estate industries. John Wadsworth joined Colliers International’s Irvine office (formerly the Seeley Company) in 1993. 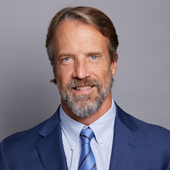 With more than 25 years in commercial real estate, John is highly experienced in leasing and marketing, sales, site selection, dispositions, development and property valuation. In 2004, John was responsible for founding the Healthcare Services group in the Southern California Region and in 2005 a founding member of the national Healthcare Services platform for Colliers. Aaron Phillips is an associate at Colliers Irvine specializing in healthcare properties and tenants. His focus is 100% on healthcare and medical office related real estate. Aaron Phillips joined Colliers International in January of 2010. Before Colliers, Aaron was an associate at Medical Asset Management responsible for leading the company’s marketing and leasing division, with an emphasis on landlord and tenant representation. Prior to his position at Medical Asset Management, Aaron worked for The CoStar Group as an Account Executive for the Los Angeles market. During his tenure at CoStar, Aaron was responsible for maintaining existing business, administering client’s needs with the product’s functionality as well as selling the benefits of CoStar to the real estate brokerage community. Our team accelerates our clients’ success by demonstrating a deep understanding of factors that underpin profitable healthcare businesses. Drawing on our local market knowledge and Colliers’ worldwide platform of services, we bring a truly global understanding to the issues facing the healthcare and medical worlds today. We have the expertise and experience essential to providing forward-thinking solutions for challenging real estate decisions, where success is measured in high-quality care delivered in cost-effective ways. Our comprehensive service offering is designed to fulfill the full spectrum of healthcare-related real estate needs. Whether you are operating, leasing, purchasing, selling, investing or developing healthcare real estate, our experienced team will work with you to identify market opportunities, optimize real estate efficiencies and implement cost control measures that together ensure the best possible outcome for your specific challenges. The Greater Los Angeles Healthcare Services Team has provided real estate services to a wide range of local, regional and national clients.